 Dock diving is a canine sport in which dogs are enticed to run the length of a dock and leap as far out into the water as possible where they will be competing for either height or distance. They’re motivated to fly with a prized toy thrown just out of reach to keep their momentum going and help get the best launch angle. The dock is usually 40 ft long by 8 ft (2.4 m) wide and 2 ft (0.6 m) above the water surface, but may differ depending on the sanctioning organization. Any body of water or pool that is at least 4 ft (1.2 m) deep can be used. The dock is covered in artificial turf, carpet, or a rubber mat for better traction and safety for the competitors. 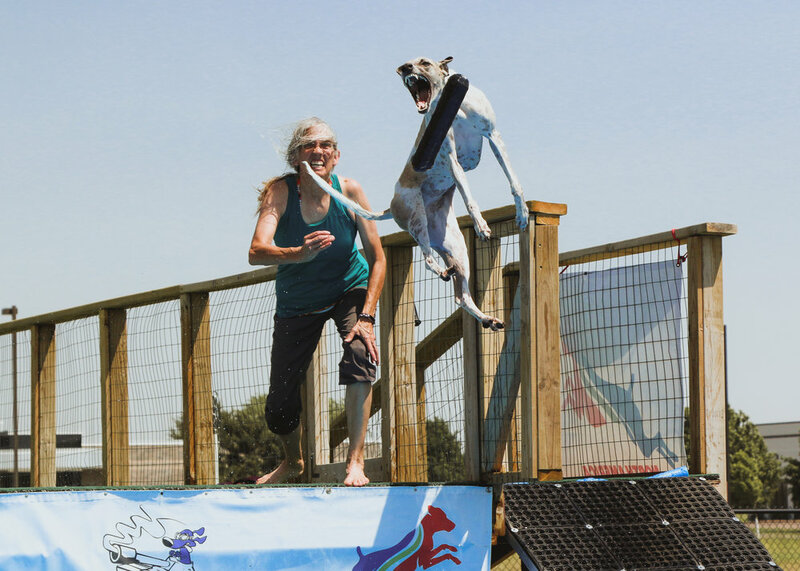 The handler may use any amount of the dock and they may start their dog from any point on the dock when competing. The jump distance is measured, by most organizations, from the lateral midpoint of the end of the dock to the point at which the base of the dog’s tail (where the tail meets the body) breaks the water’s surface. Purina's Incredible Diving Dog event measures the distance to the point that the dog's nose is at when its body enters the water. The jump distance is measured electronically using digital freeze frame technology or, in some cases, is measured manually by judges. Dock diving is a great sport for any breed, size, and age of dog! Whether you're competing, or just looking to spend quality time with your dog, either way it's a magnificent experience. If your dog loves to swim, then they'll love the sport! And if not, most love it after their conditioned to jumping into the water.